there is nothing wrong with the gearing in the auto on the z06,its the trans. It's too slow on the upshift and non existent on the downshifts. What is it that you say is non-existent on the downshifts? Full throttle up shifts in the A8 are as good or better as anything on the road... Find somethin else Giz.. I just finished the interior comparison video. Let me know what you think in the comments. After interior, I will move on to the exterior (street/curb appeal) and then on to the must hotly debated area: overall performance. Enjoy. It is good at wide open throttle, definitely not better than a DCT but probably just "as good", BUT.....AT WIDE OPEN THROTTLE. Do a shift in any other rpm and it's slow and sluggish. Why does this seem like new news to everyone, especially those who actually own an auto z06?? There are tons of videos and reports out there complaining about the auto and overheating. Sometimes one more annoying than the other, or sometimes they complain about both. And these are coming from unbiased third parties. Drive a car with a proper DCT and go crazy with the shifting, manually or auto, and you'll see the difference, in ANY rpm, any gear, upshift and downshift. It's lightning quick 100% of the time. Not like the A8 which is quick one time. On the upshift at WOT. C6 - analog gauges more focused as i think you mention around the driver this is better IMO then the c7 -- less busy, C6 Easier to get in and out of. C7- seats more comfortable, PDR great feature, The apple car play, GPS etc etc center dash is better. -- but when I am in my hobby fun car I want to get get away from this kind of trifling tech minutiae. looking forward to watching the other videos. I have a feeling....we may both be seeing this overall comparison through the same lens. More to come! Thank you all for watching. More of the comparison to come. Don’t forget to subscribe to the channel so you don’t miss the next upload. 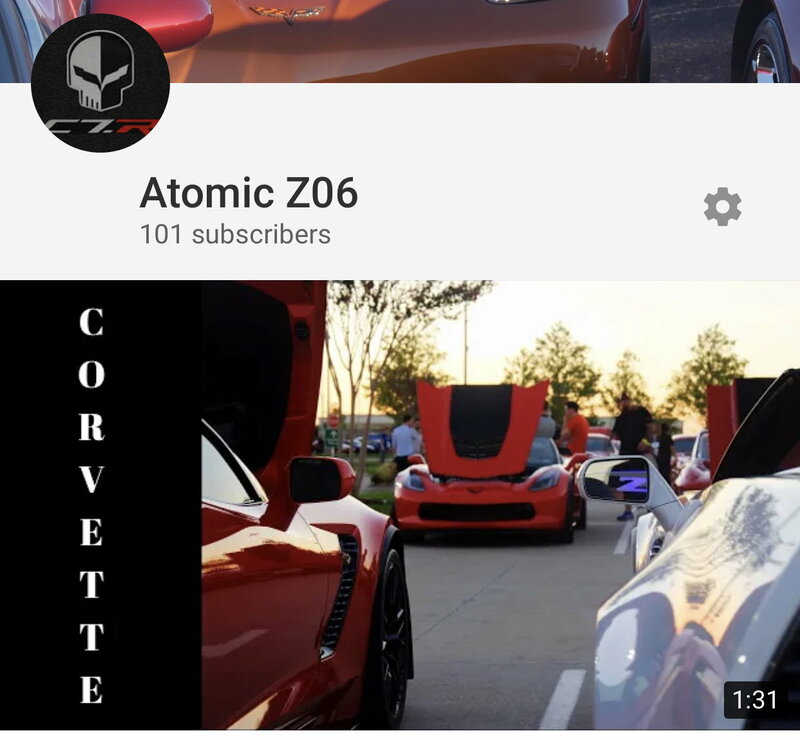 Just crossed 100 subs... THANKS! lane assist and blind spot alerts would be a welcome feature for the car with a simple push button to turn them on or off. The dashboard is a busy conundrum with too many features and options and choices. It is silly. I did forget to mention the backup camera and curb camera are welcome and useful features the c6z didn’t have. The hud is better as well. Last edited by Mr. Gizmo; 01-06-2019 at 10:29 AM. I did forget to mention the backup camera and curb camera are welcome and useful features the c6z didn’t have. Blind spot alert would indeed be nice, though I'd prefer integrated blind spot mirrors like the Mustang has. I don't fall asleep at the wheel or text and drive, so the lane assist would be a useless feature for me. Since I don't signal when I change lanes (if you do around here, people will speed up to try to prevent you from getting over) it would just fight me every time I changed lanes, so it's definitely not something I ever want. Amen on the curb cameras. Those things are a splitter saver, for sure, and keep you from looking like an idiot because you parked 4 feet from the curb to be cautious. Backup camera is fine, but as of 2019, it's a federally required feature on all cars, so that's no longer worth mentioning, unfortunately. Last edited by Toddiesel; 01-06-2019 at 10:32 AM. C7 gauges in sport mode works ok for me, like the picture below (not my picture). It is not "trifling tech minutiae", but I would have preferred if the analog speedo on the left was an analog tach. I'm driving with 3 speedos active (left side analog, center digital, and HUD). actually that is a pretty good sport option. I would set it up with oil temp in the center and oil pressure and coolant temp on the pocket gauges. Then have that as the default in performance mode. Now I just need to go sit in the car for 5 minutes and figure out how to do it. If I want to use the manual make that 15 minutes. To quote you “driving with 3 speedometers” is what happens when you have a young tech geek doing design without appropriate adult supervision. Last edited by Mr. Gizmo; 01-06-2019 at 12:26 PM. It is not "trifling tech minutiae", but I would have preferred if the analog speedo on the left was an analog tach. I'm driving with 3 speedos active (left side analog, center digital, and HUD). I would also prefer an analog water temp gauge instead of the analog boost gauge. A selectable digital boost gauge display in the center would have been fine. I agree that the analog speedo is a bit of wasted space. I guesssince you can turn off the digital speedo, they wanted you to have the ability to see your speed if you do so. I wouldn't prefer an analog tach there, but definitely oil and water temp gauges to mirror the fuel and boost gauges on the right. I like to reserve my pocket gauges for the hp gauge so I KNOW I'm putting down my power! Kidding of course. Can't believe that's an actual gauge you can stick in there. If temp gauges replaced the analog speedo, I could use the pocket gauges for oil pressure and voltage and have pretty much everything covered. I agree with you. Look how much better cars right now do with dual clutch vs the C7Z on the track...almost crickets. Just like the mid engine, in the past it was a huge upgrade, now it’s a minor upgrade and much more expensive to work on. Hell mustangs gt350s do pretty good now with their Old suspension/frame /design. Sorry back to topic. Last edited by Cercone; 01-06-2019 at 10:27 PM. In the base LT1 cars that analog speedo is a waste if space. Only compounded in the LT4 cars imo. iirc it was done so "we" could have that screen or screens that have no digital speedo and all other gauges and that digital tach in sport mode. Waste.. I agree should have been a tach and keep that digital speed up somewhere so it fulfills the legal obligation. I wish the C7 had an option for the same type of analog (although digitally imposed) gauges that the C6 had. Thank you all for the commentary. Very good thoughts. More to come with this compare! An analog tach in place of the speedo would have been good. I always think it's a waste to have my speed displayed in 3 different places too. I hardly ever even look at the analog speedo. I would also prefer an analog water temp gauge instead of the analog boost gauge. A selectable digital boost gauge display in the center would have been fine. It's not analog but I have my coolant temp set as my right pocket gauge because I don't like displaying the temperature in the center the way it's in your pic. But everyone has their preferences.